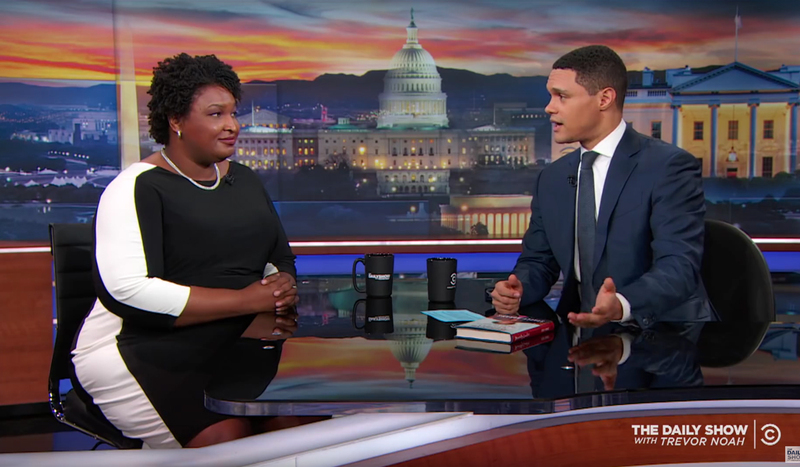 This week’s guest lineup on The Daily Show with Trevor Noah was more Atlanta-centric than usual: Democratic gubernatorial candidate Stacey Abrams stopped by for Monday’s episode of the late-night political comedy show to promote her book Minority Leader, and Outkast rapper Big Boi appeared on Wednesday’s show to promote his most recent album, Boomiverse. They also discussed President Trump’s tweet about Abrams, prison reform, and how Abrams has been open about discussing her debt, something Noah said a politician would generally hide. Noah asked Big Boi, who wore an “Atliens” hat during his interview, to describe how Atlanta has changed in the past few decades.